Hayball’s student housing project for Monash University has been honoured with a 2016 Award for Residential Architecture – Multiple Housing, presented by the Victorian Chapter of the Australian Institute of Architects. With Richard Middleton Architects, Hayball designed Holman Hall and Campbell Hall, two of four new student accommodation buildings praised by the awards jury for “helping to transform a once neglected part of the Clayton campus and improve student amenity”. The project is further commended for showing that “community can be built through simple measures such as open, naturally lit stairways, double height social spaces and communal laundries”. 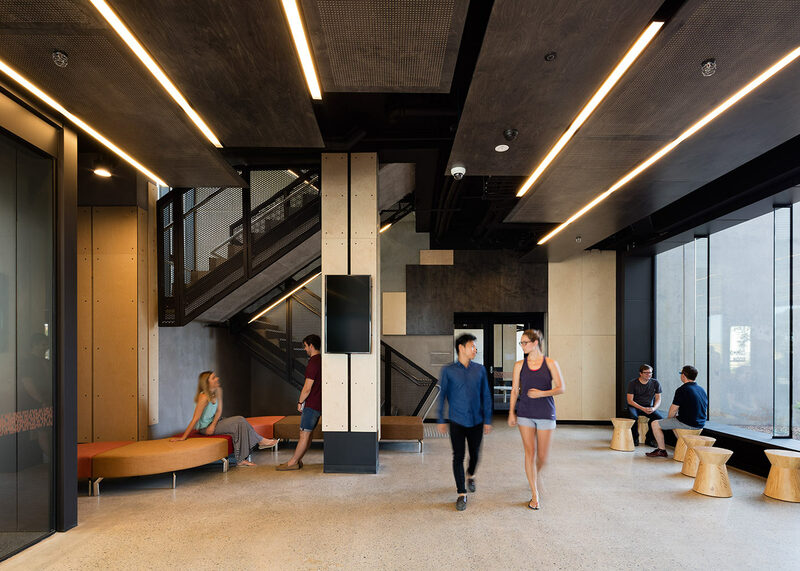 Hayball director David Tweedie said that college living can be a fantastically social experience, but for new students this relies on developing social connections. The project now proceeds to the National Architecture Awards to be announced in November.